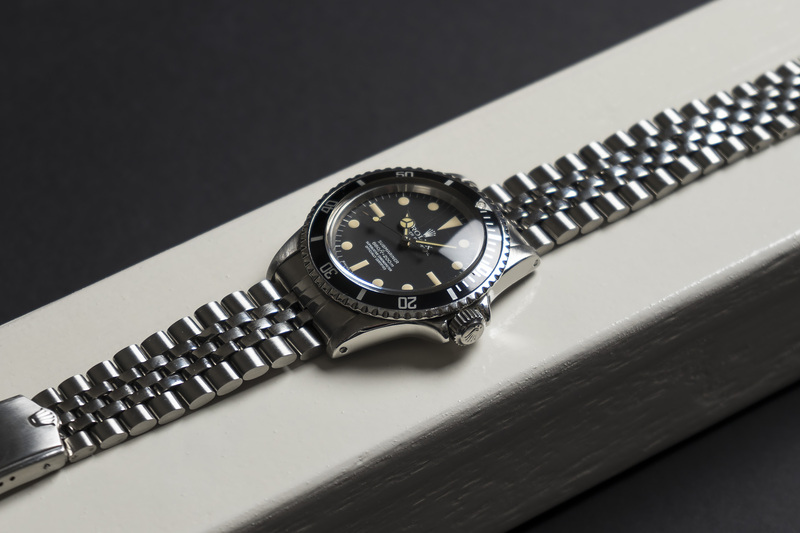 So, the 5512 is a more rare Submariner, it was produced for nearly 20 years while the 5512’s bigger brother, the 5513 Submariner, was in production for almost 30 years. 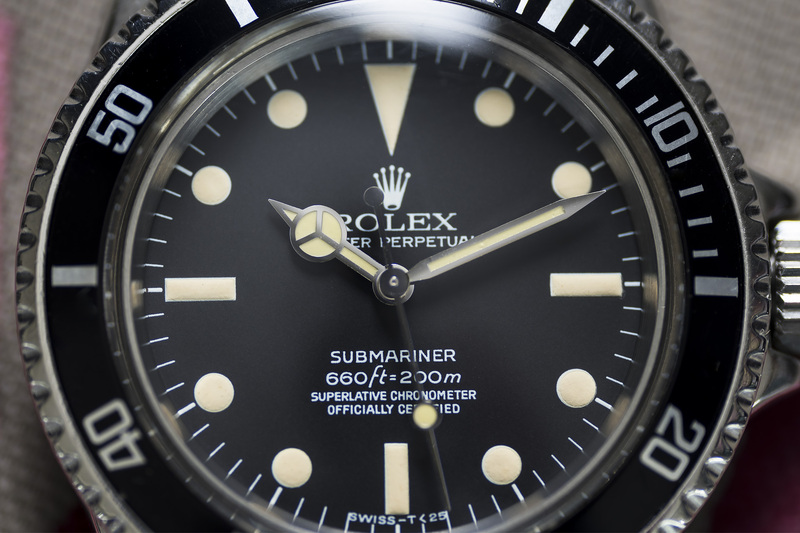 The manufacturing of the ‘cheaper’ 5513 led to a great demand, therefore Rolex produced more of that particular model over the reference 5512. 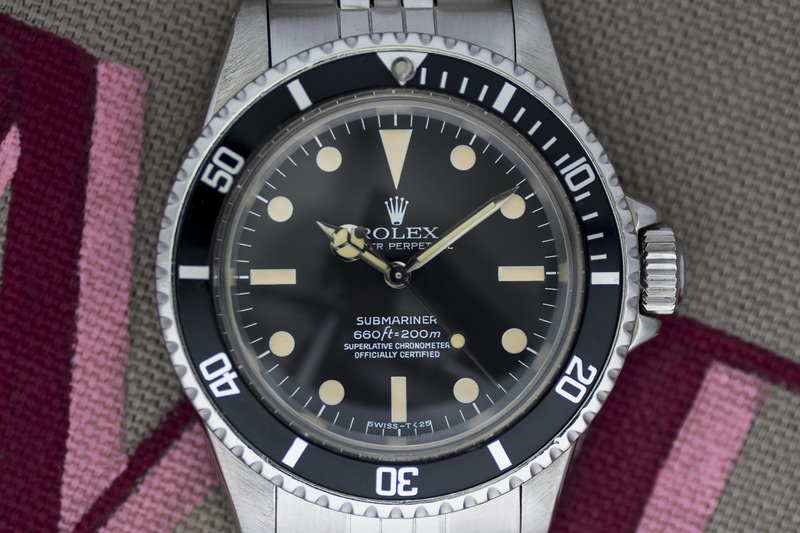 As a result, the rarer 5512 is much more difficult to source in todays vintage Rolex market. 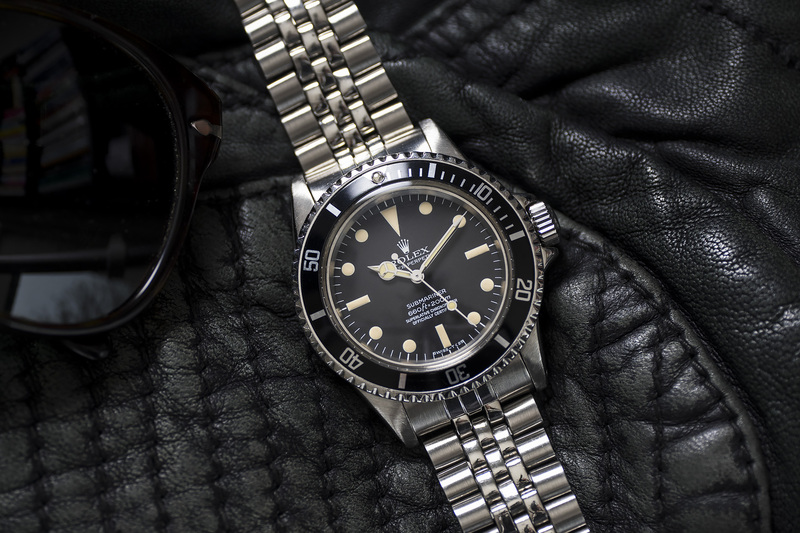 Also, the 5512 Submariner is fairly important to Rolex’s history as it was the first Rolex with crown guards and the first Submariner to be Chronometer Certified by the Swiss Contrôle Officiel Suisse des Chronomètres (COSC). The 5512 we’re offering here was manufactured in 1976 it features a spotless matte black dial with 4 lines of text in white printing while the patina on the hands and hour-markers turned to a lovely and beautiful creamy colour throughout the years. The black 60 minute inlay is a MK3 inlay which was issued from approx 1975 to about 1984 making this a correct inlay to the watch. 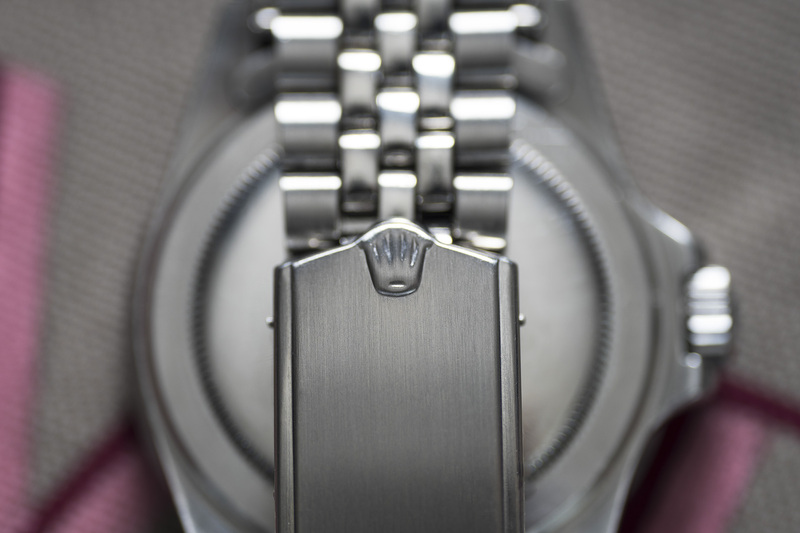 The inlay still has its original Tritium pearl inside the triangle at the 12 o’clock position, however there is a small crack down the center of the pearl. We fitted this beautiful 5512 on an excellent US Jubilee bracelet making the watch even more unique! 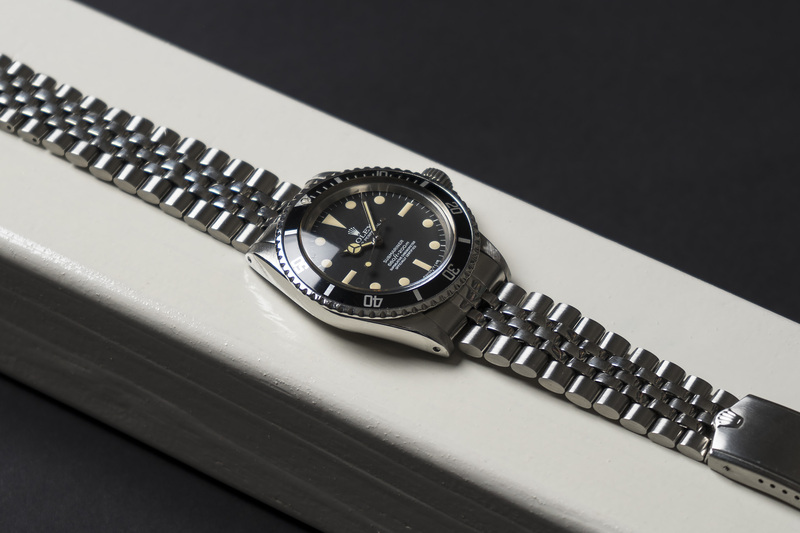 As this is a 4th generation 5512 manufactured in the mid 1970’s this beauty is powered by caliber 1570 which features a hacking function, simplifying the act of setting the watch more accurate to the second. Needless to say the entire movement was fully serviced and adjusted according to the COSC specifications that were valid at the time of production of this 1570 caliber. This cooler than cool 5512 will be offered with a twelve month warranty.